people. You won't want to miss the digests of important new books in Coronet, either. each issue contains 8 pages of games, puzzles, brain twisters and ... a Portrait of Murder. Send now for your subscription to Coronet, the handy pocket-sized magazine of good reading. where in the United States and possessions. 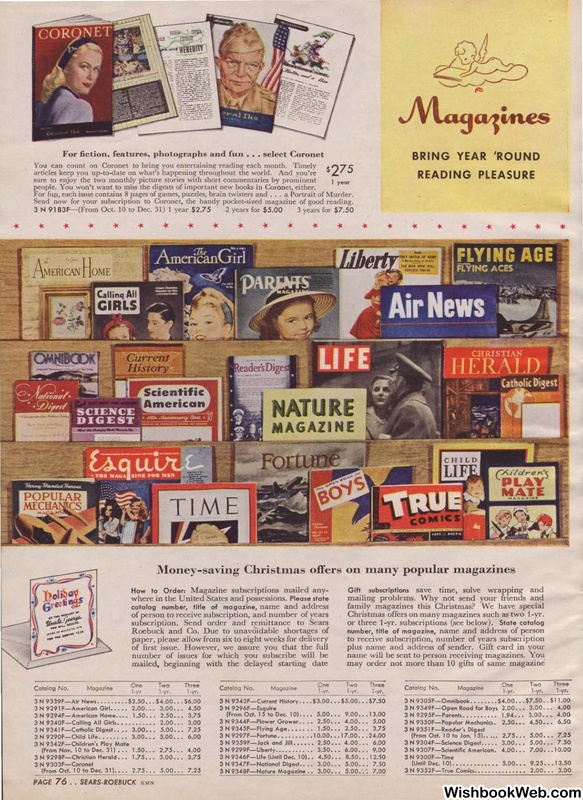 Christmas offers on many magazines such as two 1-yr.
or three 1-yr. subscriptions (see below). (From Nov. 10 to Dec. 31) • . • 1.50. • • 2.75. . .
3 N 9305F-Omnibook ...•.... $4.00 .•.